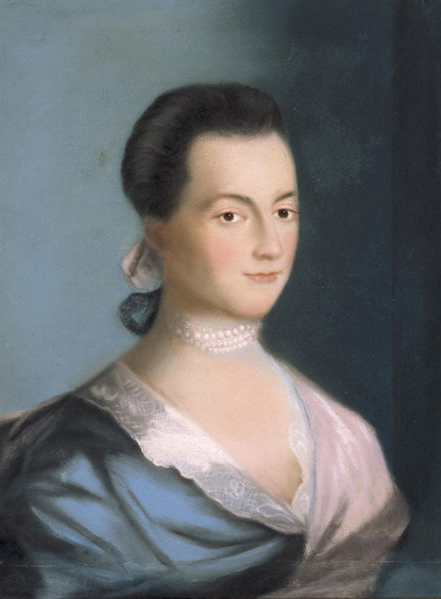 Of the four years her husband served as President, Abigail Adams was actually present in the temporary capital of Philadelphia and then, finally, the permanent "Federal City," of Washington, D.C. for a total of only eighteen months. She nonetheless made a strong impression on the press and public. She was unofficially titled "Lady Adams," and encouraged such recognition by assuming a visible ceremonial role. After touring a New Jersey Army encampment, she reviewed the troops stationed there as "proxy" for the President. Often mentioned in the press, her opinions were even quoted at a New England town hall meeting. A highly partisan Federalist, Mrs. Adams helped forward the interests of the Administration by writing editorial letters to family and acquaintances, encouraging the publication of the information and viewpoint presented in them. She was sarcastically attacked in the opposition press, her influence over presidential appointments questioned and there were printed suggestions that she was too aged to understand questions of the day. One anti-Federalist derided her as "Mrs. President" for her partisanship. Indeed, Abigail Adams supported the sentiment behind her husband's Alien and Sedition Acts as a legal means of imprisoning those who criticized the President in public print. Fearful of French revolutionary influence on the fledgling United States, she was unsuccessful in her urging the President to declare war with France. She remained an adamant advocate of equal public education for women and emancipation of African-American slaves.